Baby weaning « Hey Sugar Dumpling! Luckily we were doing all this when she was 5 months old, so we found out about it before she was weaned on to solid foods. She at least has the prescribed milk in her cereals/porridge, as she’s never really tasted any different! She is generally more of a foodie baby than milky so from about 9 months I’ve only had to breast feed her once at night and she gets everything else from her food. CMPA means she can’t tolerate butter, cheese, milk and basically any dairy! But it’s fairly mild so we were pretty lucky. As I’ve discovered a lot of weaning recipes and ready made pouches/jars contain cheese/butter/milk to make them more flavoursome. So I’ve been trying to conjure up some yummy non-dairy foods whilst weaning and thought I would share! 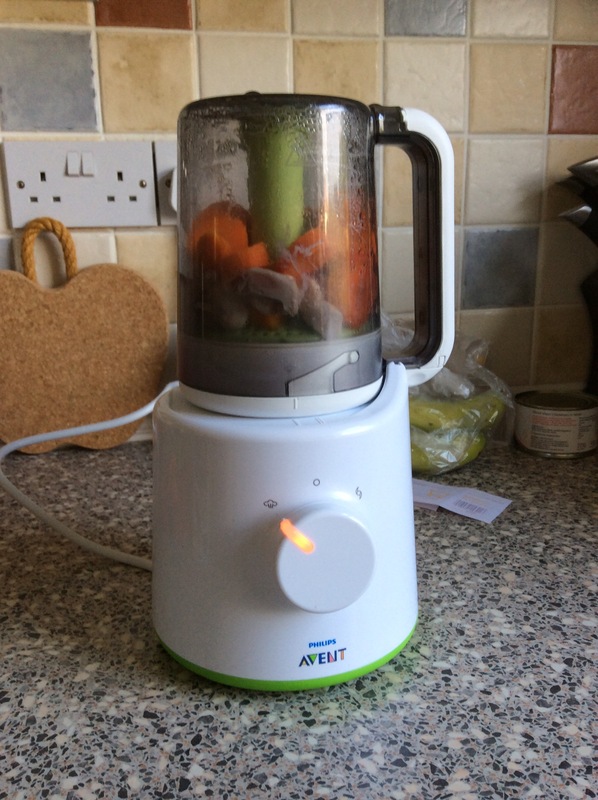 I do have to say the Phillips Avent steamer/blender has made my life with weaning SO much easier! In the early days I’d just throw everything in, steam and whizz! And even now I tend to steam fish, meat and veggies with it to keep in those vital vitamins and nutrients. This entry was posted in Baby stuff, Recipes and tagged #allergies, #babyfood, #babyrecipes, #babyweaning, #cmpa, #dairyintolerance, #mummyblogger, #newblogger, #weaning.